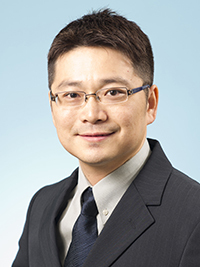 Dr Terrence Lau received his PhD in biochemistry at The Hong Kong Polytechnic University in 1999. After receiving his PhD, he moved to United States and started his post-doctoral training at Prof. Gregory Van Duyne’s laboratory at University of Pennsylvania (UPenn), Philadelphia, where he developed his interest in the structure/function relationship of RNA/protein complex and their functional roles in the cell. He then joined the group of Prof. Gideon Dreyfuss at Howard Hughes Medical Institute (UPenn) and studied the relationship between the RNA biogenesis and the pathogenesis of Spinal Muscular Atrophy, one of the most common genetic diseases in U.S. Before he joined the City University of Hong Kong in 2011, he worked as a research assistant professor in the School of Biomedical Sciences at Chinese University of Hong Kong. His research focuses on understanding the functional roles of non-coding RNA and RNA/protein complexes in prokaryotes and eukaryotes, and the application of RNA technology.